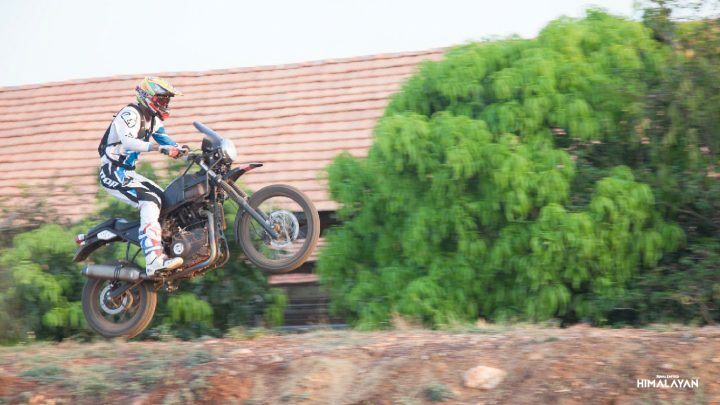 Royal Enfield first launched the Himalayan adventure motorcycle back in February 2016. 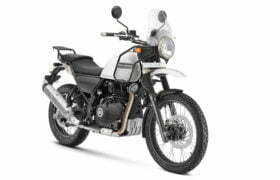 Since then, the Himalayan has seen a lot of interest and has even done fairly well on the sales charts. However, the several quality issues marred the reputation of this bike. Hence, Royal Enfield stopped the sales of this motorcycle in March this year. Now, the manufacturer has re-launched the motorcycle with a fuel injected engine and hopefully, better quality parts. 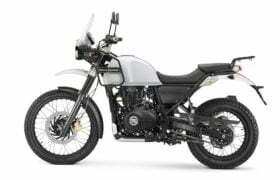 The new Royal Enfield Himalayan Fuel Injection price is Rs 1.65 lakh (ex-showroom). 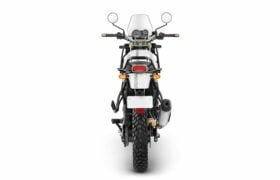 You can read on for all you need to know about the 2017 Royal Enfield Himalayan FI Price, Specifications, Mileage, Features, etc. While the carbureted bike had a sticker price of Rs 1.56 lakh (ex-showroom Delhi), the fuel injection equipped model costs Rs 1.60 lakh. The increase in price will be justified through the higher refinement levels and performance offered due to the fuel injection. There isn’t any change in the specifications, that is, except for the fuel supply system to change from a carburetor to fuel injection. 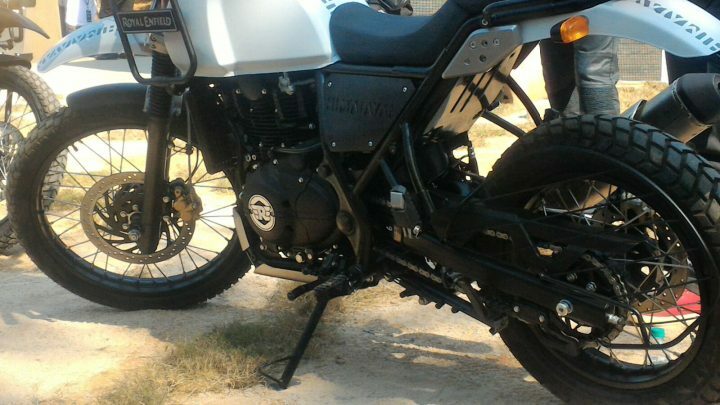 The 2017 model of the Himalayan not only gets fuel injection but also a BS4-compliant engine. The 411cc single-cylinder unit continues to offer a max. power of 24.5 BHP and a peak torque of 32 Nm. The engine comes mated to a 5-speed manual transmission. Both the wheels get disc brakes. Suspension duties are taken care of by long travel front forks and a monoshock at the rear. 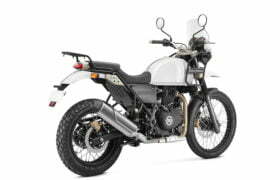 Based on estimates, the fuel injection system should lead to a slight increase in the mileage of the RE Himalayan. With the introduction of the fuel injection, the bike should return around 36 KMPL on highways and 27-28 KMPL in city conditions. 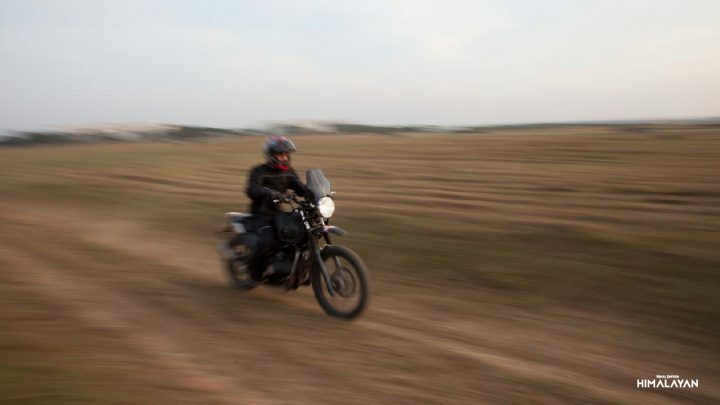 While the Royal Enfield Himalayan has an indicated top speed of 134 KMPH, its true top speed should be around 128 KMPH. There isn’t any difference in the dimensions of the motorcycle. 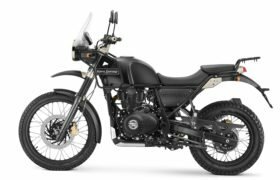 Currently, the Royal Enfield Himalayan is available in two colour options. However, the bike could even get the ‘military green’ shade. We await official confirmation of this. Mounting points for Jerry Cans, Panniers, Duffle bags etc. 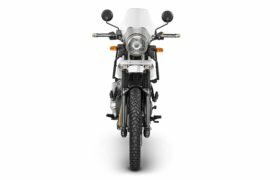 Stay tuned for more on Royal Enfield Himalayan Fuel Injection Price, Mileage, Specifications, Dimensions, Colours, Top Speed and Latest News Updates.